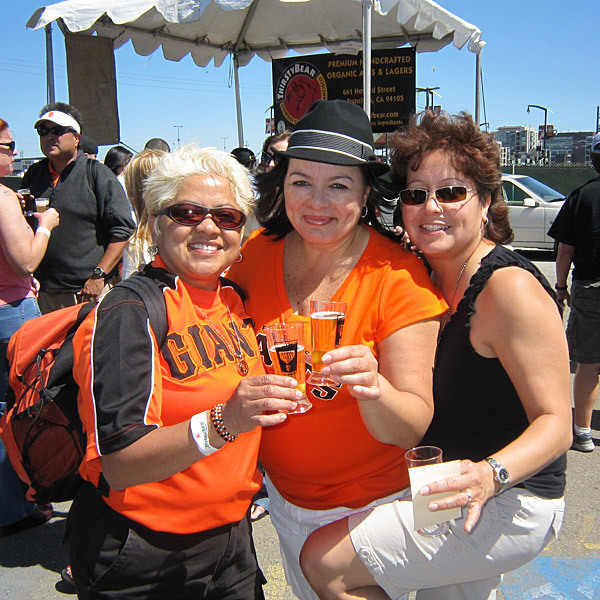 What goes together better than beer and baseball? 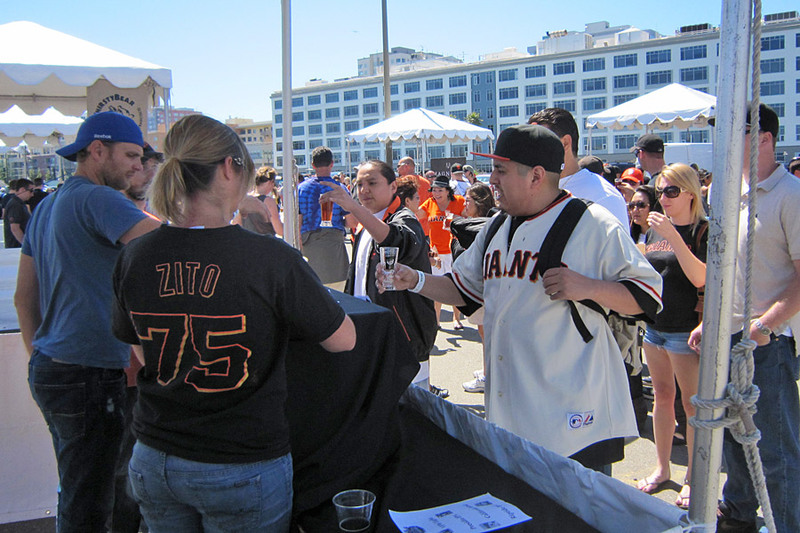 The Giants held their first Brewfest before Saturday’s game, with the line to get into the Lot D event stretching clear across the Lefty O’Doul Bridge before the Brewfest opened. Guild craft breweries: The Beach Chalet, 21st Amendment Brewery, Thirsty Bear Brewing Co., Magnolia Gastropub and Brewery, Social Kitchen and Brewery, Gordon Biersch, Speakeasy, Lagunitas Indian Pale Ale and Blue Moon.